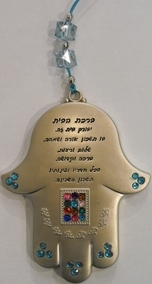 Decorative designed Hamsa with Home Blessing. 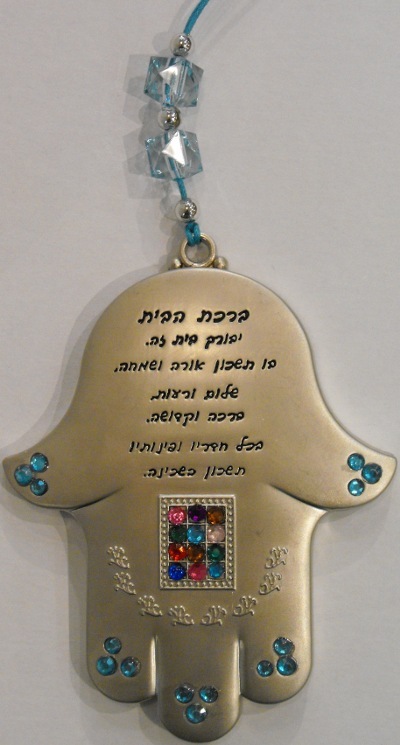 Jewish pray of Blessing for the House in Hebrew Language. Made in Jerusalem. Decorative design of the High Priest's Hoshen. Kosher Version.